From Stronsay to South Rhine. 160 Years. When the South Rhine Church final service was held on the 25th April 2010, Christine Kingsnorth nee Miller, who grew up at ―Craggy Lea‖ came from Perth and brought with her, a copy of the Will of our Great Grandfather (Peter, eldest son of Peter and Janet) for Lester to look at. 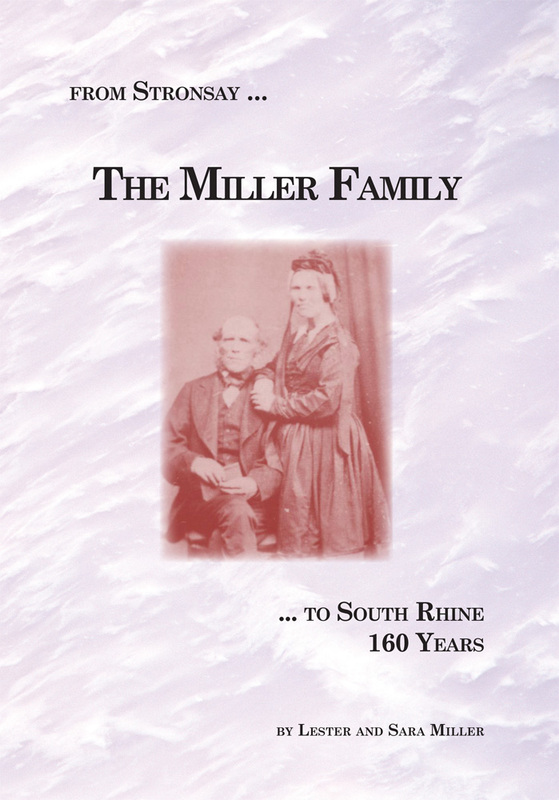 This was the catalyst that started us on the journey of researching, compiling, and writing a history of the Miller Family since their arrival in South Australia in 1852. Lester grew up on the Flats property at Sanderston and was the fourth generation to farm there until he retired in 2004 having substantially increased his holding and developed a large intensive piggery. Lester still owns the original holding that his Great Grandfather Peter Miller (eldest son of Peter and Janet) leased in 1900 and subsequently purchased in 1910.